Washing machine leaving your clothes soaking wet? If your clothes do not spin dry in your washer but the washer DOES SPIN, there are multiple issues that may be causing this. This guide will show you what to check to find out why your WASHER IS NOT SPIN DRYING YOUR CLOTHES. This guide applies to both front load and top load washers. We will list each part and or area to check on your washer regardless of brand or type. The first solution will be the most likely and the least likely at the bottom of the list. 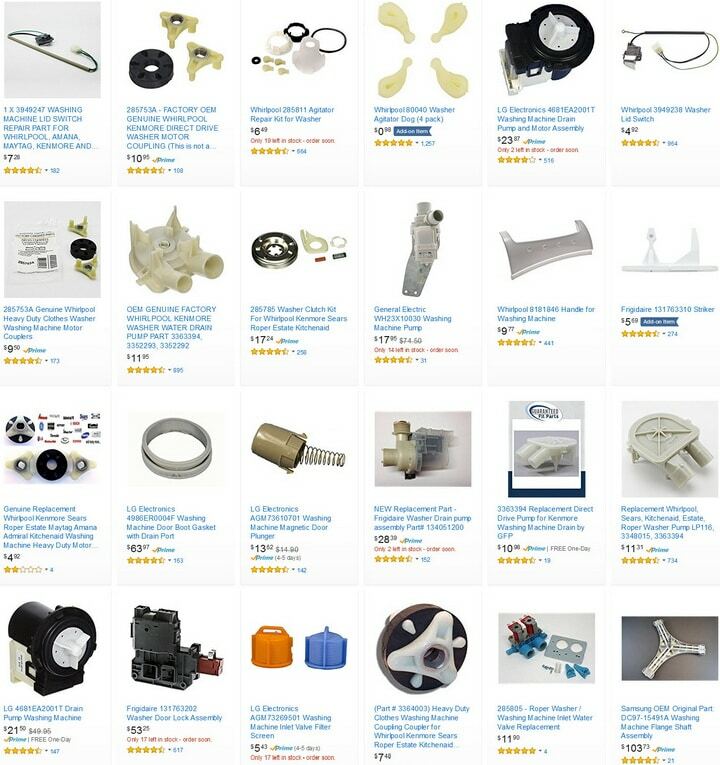 These repair and troubleshooting methods are for all washing machines including Admiral, Amana, Beko, Bosch, Electrolux, GE, Haier, Hotpoint, Kenmore, LG, Maytag, Samsung, Sharp, Siemens, Toshiba, Westinghouse, and Whirlpool. 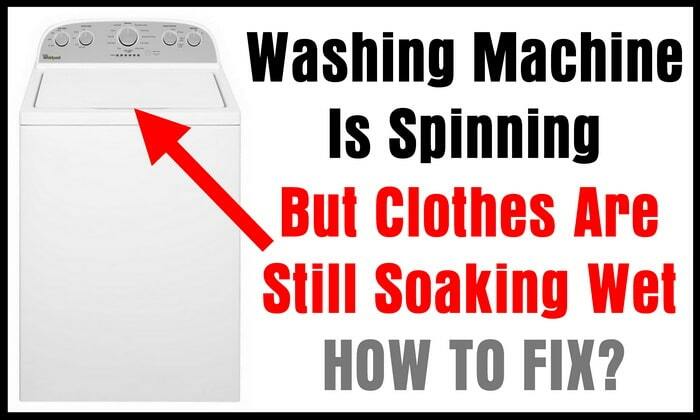 Washing Machine Is Spinning But Clothes Are Still Soaking Wet – How To FIx? – Make sure the washer is programmed to the correct wash cycle, different cycles have different speeds! – Make sure the drain hose on the back of the washer is not clogged or bent. 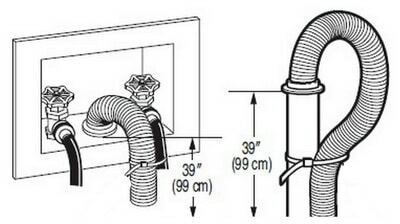 – Check that the drain hose on back of washer is positioned correctly in standpipe and is able to drain properly. – Check the drain pump debris filter or coin trap, objects may be blocking the water flow. 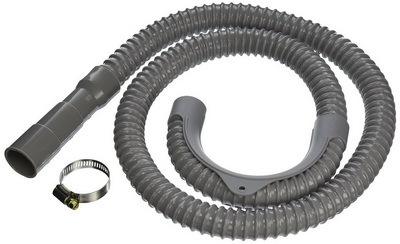 – Check inside drain pump and all hoses connected to drain pump for foreign debris or small pieces of clothing. – Be sure the wash load of clothing is balanced, balance out the wash load if you see all clothing to one side. – Lid switch or door lock assembly may be damaged or bent and not making the electrical safety “connection”. Assuming the TUB IS SPINNING but does not get the water out of your clothes.. If the washer is not spin drying your clothing, check the drain hose on the very back of your washing machine. Make sure the drain hose is not bent therefore restricting water to drain out and leaving your clothing wet even after spin dry mode is complete. It is also a good idea to remove the hose from the drain pump and check the pump and drain hose for any blockages that may restrict water flow. If the drain hose on the back of your washer is too far down or not down far enough in the standpipe, this can cause an issue with proper draining and can cause the washer to not fully drain out the water and therefore your clothing will still be soaking wet after a wash cycle. When your washer will not spin dry your clothes, the debris filter or coin trap may be blocked. Your washer has a filtering device down and near the pump called a drain filter or a coin trap. This filter grabs all foreign objects that go down and into the drain. These are mostly small objects that are left in the pockets of your clothes such as coins, keys, small socks, pins, paperclips, etc. 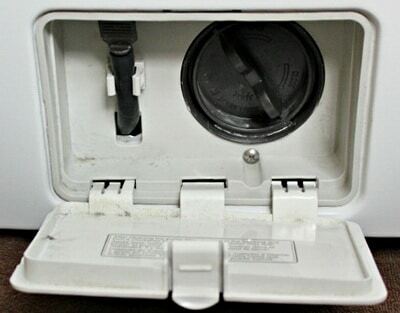 The drain filter is accessed on the front bottom of the washer and the coin trap is located behind an access panel. These filtering devices are easy to clean and will help the water to flow when draining the water out therefore getting your clothing spun dry and not soaking wet when washing is complete. If your washer will not spin out all water and clothes are still wet, the drain pump might be clogged with debris or possibly faulty. There could be a foreign object that is stuck in the pump and inside the drain hose. Check these areas and remove anything that may be clogging the draining system on your washer. If all areas are clear of debris and no clogs are found. Test to be sure the drain pump is working properly. If your washer contains only one large blanket, this will usually cause an imbalance and will not drain out the water from the tub or drum properly so that it can ramp up to a high speed and spin in some circumstances. Always try to “balance” out the tub by adding more or less items so one large item of clothes or blankets is not to one side. For example, if you are washing one large towel or blanket, it will be on one side of the washer drum or tub and can cause an imbalance therefore making it so the washer cannot drain out the water correctly, by adding in another blanket or towel, the washer has an “even” amount of wash objects in it and can drain out the water therefore getting all the water out of your clothes or other wash articles in the tub. When your washing machine does not get the water out of your clothing, the belt on the pump or motor may be worn or stretched. If the belt is stretched out, the washer tub will spin but will have a difficult time spinning a large amount of clothing when trying to drain the water out as the belt will slip when the drum is attempting to spin and therefore the drum or tub will not spin fast enough. This causes wet clothes after a wash cycle is completed. Make sure you check the belt or the direct drive system for wear and tear. Replace the washer drive belt or direct drive motor coupler if worn, cracked, damaged, broken, or stretched. Your washer will not drain at all if the the lid switch is faulty. 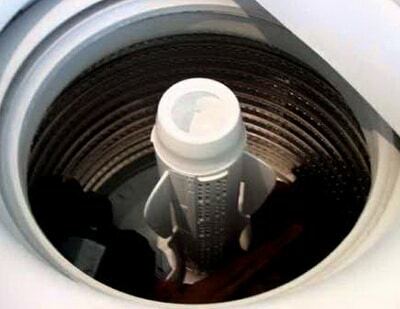 This is a common issue for a washer that WILL NOT DRAIN AT ALL. The lid switch or door lock assembly may be inoperable from a mechanical fault or an electrical fault. TO find out if the lid switch or door lock assembly is faulty, simply use a meter and test for continuity. Also check to be sure the lid switch or the door lock assembly is in the correct position and mounted securely. If the lid switch or the door switch assembly are not connected electrically possibly from vibration or rough usage, they need to be reconnected using the wiring harness. Check to see if one of the wire harnesses have fallen off or has become loose. If the lid switch or door switch assembly is found to be cracked, broken, or has no continuity, the part will need to be replaced. NOTE: If you have tested, cleaned, replaced parts, and followed all instructions above to resolve why your washing machine still has wet clothes after washing is completed, please leave your question below and a professional appliance technician will assist you to fix your washing machine. My Kenmore laundry center has been sitting for a few years before it was installed. It is brand new. The washing machine will not go until the last spin and there is water remains in the tub. If we are The washing machine will not go into the last spin and there is water remains in the tub. If I run the machine without clothes in it it goes through a complete cycle. The drain hose is at the proper height and is not kinked. We have taken the pressure switch off and blew out the hose. The pressure switch seems to make contact when we blow in it. Any help would be appreciated. My machine does drain the water out but not everything. Hoses are fine, filter is clean, cycle is correct. After washing some water remains inside. I run the draining cycle and then the drying cycle. It works fine but not the wash and dry cycle at once. My automatic Whirlpool machine had a black lever in it that apparently had something to do with the drum being able to spin dry the clothes properly. That lever broke when the clothes got uneven and the machine made a terrible noise. What can I do? Is this lever sold? 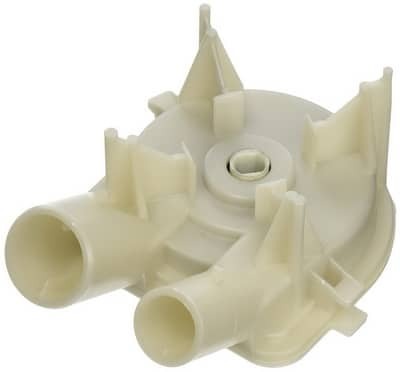 I have a Kenmore 11046462500 front loader that will run the whole spin cycle when empty or with, maybe a small towel, but won’t run it at full speed when loaded. Already checked everything suggested in this post (except buying a new door-lock switch, took it out and cleaned it) and even changed the shocks, to no avail. I ran the diagnostics cycle and everything passed. Is there a balance switch anywhere in the machine that may be faulty? Thanks in advance for any help that might be offered. I have a hotpoint washer mod# Htwp1400f1ww and I’ve done all the steps above even replaced the lid switch and it still wont spin is it that the motor is bad cause all the timers work and turn and the pump works great it just wont spin or aggitate; now I can spin it by hand and the agitator turns it only one way so my question would be should I replace the motor? Matytag Centennial model MVWC555DWO, 2016 purchase. Like others, machine is not spinning up to full speed during final spin cycle, and clothes are coming out wet. During observation if cycle, I observed that the impeller was spinning during final spin, separate from the main basket. That didn’t seem right to me. I have already replaced the main drive belt, tightened the retaining nut on the splutch main pulley, and replaced the run capacitor. What am I missing?? The washer does spin but the cloth still wet . When on rinse there has no water come out and the spin time out at one time setting, for example 9 minutes for a while stay at one cycle and times out restart again it appears in a loop. Have already check and clean the filter. I have a Samsung wf56h9100 front load washer and during both the rinse and spin cycles, the washer won’t spin up to remove the water from the clothes. It just starts to ramp up then stops and the drain pump comes on for a second but if I remove the vibration sensor from the tub during the times it’s trying to spin up, it will work normally. I replaced the sensor today and still have the same problem. I’m looking at the control board as the next dart but that’s a bit of coin. Any help would be greatly appreciated. We have a Whirlpool top load washer. Model #W10468410. I’m not sure how old it is. When we wash clothes on a normal wash; the machine drains, but doesn’t spin out the water and the clothes are soaked. So we have to put the machine on just the Drain and spin setting, then it works. We’ve tried reprogramming it; but that didn’t seem to fix it. Any ideas??? Hello, my Whirpool top loader is leaving the clothes wet after a wash cycle. If I put the washer on drain/spin…it spins the water out of the wet clothes with no problems. I having this same problem with my whirlpool top load washer. What did you do to fix it? I have a GE top loader that is around 5 years old. It spins like normal, but leaves clothes wet. Some loads have no problem. Some loads take an extra drain/spin cycle. But some loads take around half a dozen extra drain/spin cycles. What is the answer to the question, since it seems to be a common problem for other people? Mother has compact Maytag stackable front loader that stops when time for spin cycle. Is trying but doesn’t spin. Smelled like something burning and sparked inside stainless tub. Lock mechanism is working, drains on drain command but won’t spin. Concerned about possible repair due to spark. Fire hazard? After checking with no clogs anywhere. Replaced drive belt. Motor seems to spin tub fine and no standing water so I think drain pump is ok but I still have wet cloths sometimes. I think it’s a balance issue possibly being caused by weak springs holding the tub. Is that possible? Any other suggestions? I have Bosch maxx 6 machine, 2 years old, it does a wash and rinse but just then wont go into spin cycle. It has lights to show what cycle its on start wash, rinse, spin, end, then it just flashes at rinse and clothes are still wet. I have to do this every washing. My wife washed our comforter and since then the washer will not spin fast enough to dry the clothes. I took the front panel off and watched the machine go through all its cycles but when it gets to the end, it drains all the water and spins but not fast enough. I checked the drain hose and it seems fine. And the belt looks ok and it doesn’t look like anything is slipping. wfw95hexw2 whirlpool duet. Had for 5 years and worked great, in last 6 months the spin is not as fast as it used to be and the clothes are coming out too wet. 4 repairmen have been out. 1. Soap buildup, recommend cleaning machine. (Did it, still not working correctly). 2. Too much soap, recommend cutting back on soap and cleaning machine (Did it, still not spinning fast enough). 3. Replaced upper computer (No go). 4. Said he wasn’t even gonna look at it cause it was waste of his time, unit not fixable. This is an intermittent problem but getting more and more frequent. No-one checked the pump or the pump filter (hard to get to on this model), Is it possible it could be that simple? There is another computer down low isn’t there, maybe this? Does the agitator asiist in spiking out the clothes? Next post: How Do You Reset A Garbage Disposal?